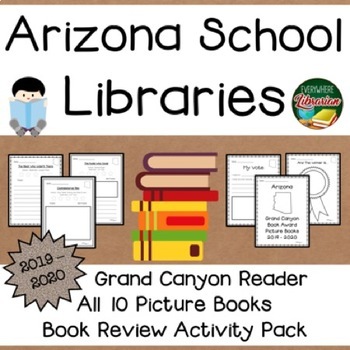 Attention Arizona School and Public Librarians! All new for 2019 - 2020! 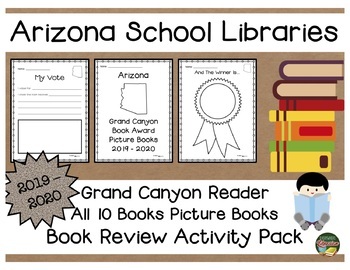 Book Review Activity Pack that covers all 10 nominees. 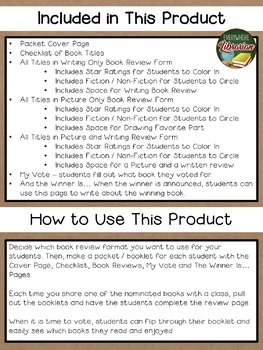 There are 3 different review forms for each book so you can differentiate for your students. Also included are a packet cover page, a checklist, a My Vote page and a And the Winner Is... page. 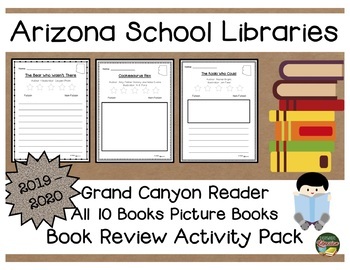 Make a packet of the reviews and you will have 10 ready to go library lessons! Great for school librarians. NO PREP - easy!